Earth - mud - clay was among the first materials of conscious human creation, and pots, initially functional and soon aesthetic, have been an essential part of culture since the dawn of human time. Building on ancient tradition, Japanese Mingei (民芸, "art of the people" or "folk art") became a philosophical and artistic movement in 1926 and gained a powerful momentum that has kept its spirit vibrant to this day not only in its native Japan, but in the work of contemporary potters from many corners of the world. Mingei joins seemingly irreconcilable opposites - East and West, tradition and modernity, function and pure form, rusticity and sophistication, intuition and intellect, chance and intention, restraint and exuberance, the unknown craftsman and the artist potter - into a dynamic harmony that brings together head, heart, and hand. 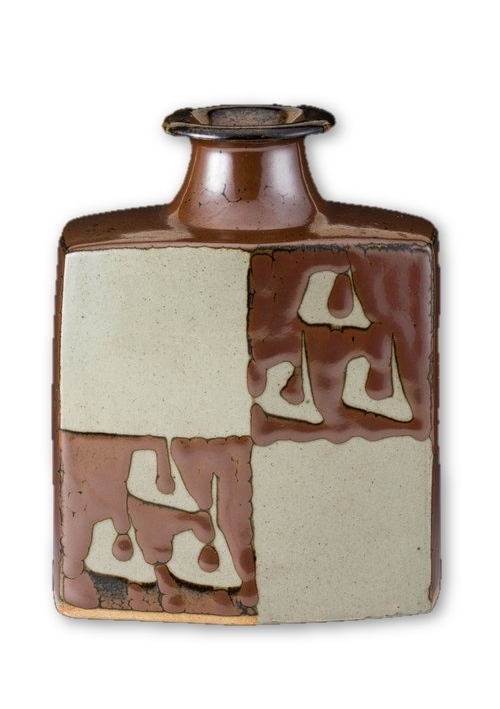 Each time Hamada Shoji, perhaps the most famous Japanese potter of the 20th century and one of Mingei's founders, lit his noborigama (climbing kiln) in Mashiko, he would bring an offering of sake, rice, and salt, and pray to the kiln goddess, kami-sama, to "give birth to good things." Beauty, then, would be "born," not "made," with the potter serving as a conduit in a process that was - and is - healthy, robust and free-flowing, almost nonchalant in its unforced grace and confidence. Mingei has been the initial focus of Five Cranes, though our offerings will expand over time into other styles of Japanese pottery. A couple of beliefs will continue to guide us, however, as we add new artists and pieces. We think mindful and loving daily use - in other words, participation - completes a ceramic vessel. Art can (and should) flow into life and vice versa. And we're committed to exploring the ways in which pottery has created delicate yet sturdy bridges between cultures, particularly between East and West, over the raging waters of time. Please feel free to explore our Offerings. We hope your enjoy your visit.